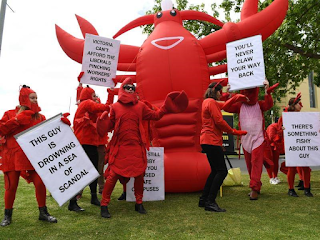 About a dozen protesters dressed as lobsters crashed the launch, singing and dancing at the front of the venue. 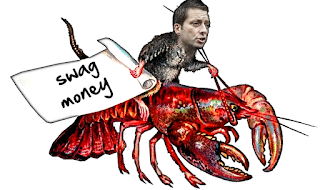 Australian politico Matthew Guy is promising to cut taxes, control population growth and improve living costs. The Opposition leader has continuously insisted the dinner meeting in April 2017 at the lavish Lobster Cave restaurant with Melbourne mafia boss Tony Madafferi was not linked to political donations. He told the party faithful he would bring a strong, stable government to tackle high crime.